Tear romaine lettuce into bite-sized pieces and add to a large salad bowl. Add all Caesar dressing ingredients into a food processor and blend until well combined. You may need to add more water, depending on the consistency you like. 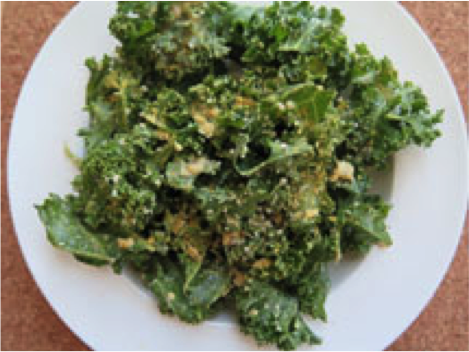 Add dressing to salad and top with hemp seeds, and nutritional yeast.